The Sunshine State has one of the highest chemical test refusal rates in the nation. About 40 percent of the DUI arrestees in Tampa refuse to provide a breath or blood specimen. These individuals risk lengthy license suspension and also additional jail time. The United States Supreme Court recently gave its seal of approval to refusal-to-submit laws, like the one in Florida. In many respects, however, the risks may be worthwhile. 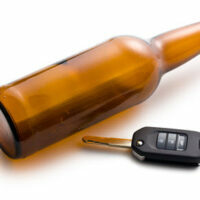 For example, the DUI conviction rate in test cases is about twice as high as it is in refusal cases. That’s because prosecutors must rely on circumstantial evidence in refusal cases. It is much easier for an aggressive attorney to undermine circumstantial evidence than direct evidence, like a chemical test. A legal police officer stop in Tampa usually involves two phases. Prosecutors must prove that the initial traffic stop was valid, or the judge can dismiss the case based on a well-founded motion to suppress. A board certified criminal trial lawyer can provide an expert evaluation on the merits of any constitutional law violation like an unreasonable search and seizure. First, officers must have reasonable suspicion that a driver committed a crime. Typically, the officer witnesses a traffic violation, and that event justifies the stop. The traffic infraction could be something incredibly minor, like speeding 31mph in a 30mph zone. These factors do not establish intoxication per se. At best, they only establish some level of consumption. But the burden of proof is very low at this point. At the next level, prosecutors must use circumstantial evidence to prove intoxication beyond a reasonable doubt. That’s often a daunting task, especially since most Tampa judges limit such evidence to the three NHTSA-approved field sobriety tests. Horizontal Gaze Nystagmus: In the HGN test, subjects must track moving objects with only their eyes; that object is often a pen or a point of light. If the subject displays more than six clues, the subject probably has nystagmus. But a genetic deformity, and not alcohol, is the leading cause of nystagmus. Walk and Turn: The WAT (walking a straight line) is also a divided attention test and it suffers from the same flaws as the OLS. Many defendants must walk imaginary lines in near-complete darkness over uneven surfaces. Florida law defines proof beyond a reasonable doubt as “an abiding conviction of guilt” that odes not waiver or vacillate. In other words, after hearing from both the prosecutor and defense attorney, a juror must find overwhelming evidence of guilt. If a Tampa defense attorney establishes reasonable doubt in just one juror’s mind, the defendant will probably be found not guilty. Prosecutors are often hard-pressed to prove guilt beyond a reasonable doubt with just circumstantial evidence. For a free consultation with an experienced DUI attorney in Tampa, contact The Matassini Law Firm, P.A. We routinely handle cases in Hillsborough County and nearby jurisdictions throughout the Tampa Bay area. Nicholas G. Matassini, a former prosecutor, is Board Certified in Criminal Trial Law by the Florida Bar and is AV Rated by Martindale-Hubbell. He is a life member of the National Association of Criminal Defense Lawyers, Florida Association of Criminal Defense Lawyers, and the Hillsborough County Association of Criminal Defense Lawyers.